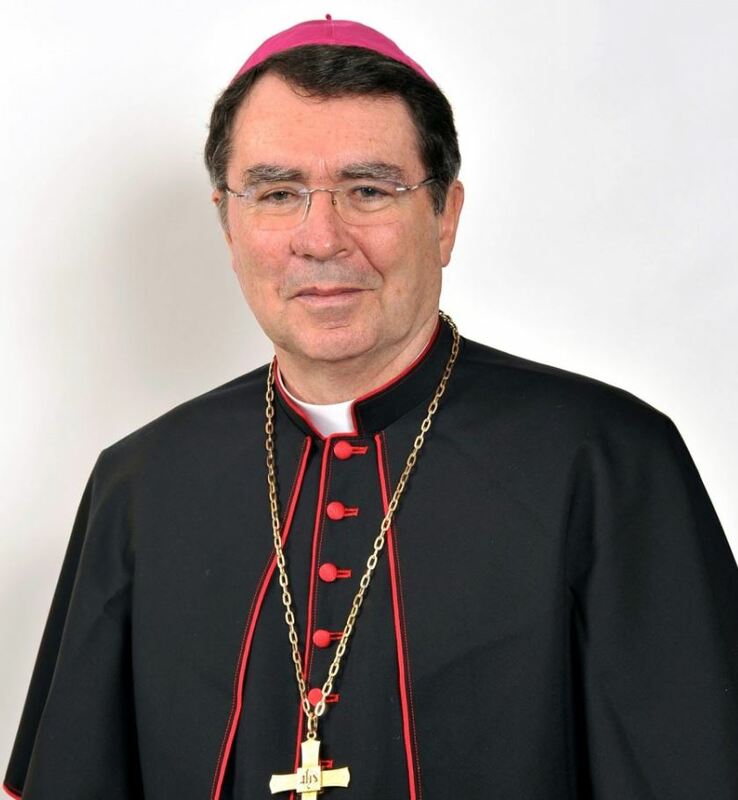 Archbishop Christophe Pierre, Apostolic Nuncio to the United States, on November 12, 2018, addressed the United States Conference of Catholic Bishops (USCCB) assembly meeting in Baltimore. Dear Brothers in Christ, I am happy to be with you once more here in Baltimore. I wish to thank Cardinal DiNardo, the President of the Episcopal Conference, as well as Monsignor Bransfield and the Staff of the USCCB, for the opportunity to address you. I assure you of the Holy Father’s closeness, prayers, and gratitude for your ministry. One year ago, we were celebrating the one-hundredth anniversary of this Episcopal Conference. Despite some bright moments – the Fifth National Encuentro and the recent Synod on Youth – we must recognize that the year has been marked by challenges. Actually, the events of this past year, which we have lived and continue to experience, have been both challenging and sobering. With humility and apostolic courage, we must accept our responsibility as spiritual fathers, facing reality with the grace that comes from the Lord. The Church is always in need of renewal for the sake of her saving mission of mediating the presence of Christ in the world and this is impossible unless we rebuild trust among the People of God, a task, which, looking to the future, demands time, effort, sacrifice and, most of all, t1ue repentance and reform on our part. There may be a temptation on the part of some to relinquish responsibility for reform to others than ourselves as if we were no longer capable of reforming or trusting ourselves as if the deposit of trust should be transferred to other institutions entirely. To regain trust it is not enough to simply preach words about responsibility, without living the difficulties of that responsibility, even in the face of criticism. When it comes to the responsibilities, with which we are charged – with children and the vulnerable at the forefront- we must show that we can solve problems rather than simply delegating them to others. At the same time, there can be no question that the insights of experts, the contributions of time and professional skill of all the faithful, laity together with the clergy and so many consecrated women and men, are critical to carrying out our mission as Shepherds. Assistance is both welcomed and necessary, and surely collaboration with the laity is essential. However, the responsibility, as bishops of this Catholic Church, is ours – to live with, to suffer with, and to exercise properly. The People of God have rightly challenged us to be trustworthy. Pope Francis never ceases to tell us that if we are to begin again, then we should begin again from Jesus Christ, who enlightens our lives and helps us to prove that we can be trustworthy! When Christ called Peter to be the Rock he told him that he would build his Church upon Peter’s confession of faith, promising that the gates of hell would not prevail! We are that Church, and in our own Profession of Faith we say that we believe in one, holy, catholic and apostolic Church – a Church undivided, holy because of its divine element, Catholic as universal and apostolic because of its foundations in the teaching of the Apostles. As the successors of the Apostles, we cannot be other than with the successor of Peter. We, in communion with our Holy Father, are heirs to the promise of Christ. As heirs and successors, each of us individually and collegially is called to a special responsibility to strengthen the faith of our sisters and brothers, especially in confronting the challenges before us. My brothers, in the past decades you have put in place structures for the protection of children and young people. But we all know that Ecclesia semper reformanda est! There is always more to do and we bishops must not be afraid to get our hands dirty in doing that work in the vineyard of the Lord. Moreover, allow me to remind you, in these challenging days, that the measures you have taken in the last years have been effective in training bishops, priests, deacons, religious and laity to be vigilant in the protection of youth. Those measures have been important, have set an example, and have led to a steep decline in the incidence of reported abuse today. There are some dioceses here in the United States that have been so thorough in their work that their training programs have become models for civil institutions. Those of you who have done good work are to be congratulated for your commitment as leaders, and for setting a good example for us all. At the same time, we must reaffirm vigorously that one case of abuse is one too many. Therefore, it is necessary, for the entire People of God, to remain vigilant. Despite the success of these efforts, there is not a corresponding increase in public approval of bishops, and given some recent revelations, perhaps none should be expected. Trust needs to be earned, not presumed. When protection of the young and vulnerable becomes not just a duty but a calling, when it is viewed as integral to the gospel not only to care for Catholics but for all in harm’s way, we bishops can rightly take our place as leaders looked up to rather than down upon with scorn. Of course, there is work to do, but do not be afraid to speak with pride of the work that has been done. Indeed, as painful and humiliating as it may be at times, we can thank the media for bringing attention to this issue. There have been times when the media drew attention to precisely what we did not attend to ourselves. As said from the time of diplomacy in the Greek City-States, “Don’t shoot the messenger.” (And, as a Nuncio, I can assure you it is a phrase very dear to me!) It is also the case that an impression is sometimes left in the media that the Church has done little. That is simply not true, and we should not be afraid to refute this. We cry for the injustices perpetrated upon victims of abuse. We vow to fight a clerical culture that tolerates the abuse of authority. When abuse occurs, it is our sin and we must take it as such. These are not the sins of the media or the products of vast conspiracies. These are things we must recognize and fix. Our Holy Father has said it must end, and it must – not simply because he has said it, but because each of us in our hearts knows that this is the only right thing to do. Thus, we must see our failures clearly and not be discouraged if we feel the Church is somehow treated unfairly, turning upon ourselves as though the world is against us. This would-be self-referential behavior paralyzes rather than energizes. Christ and his mission demand we go into the world, not withdraw from it. At this critical moment in the history of the Church in the United States, I am confident that each one of us will be able to respond by going to and being with the people, showing them that we can be trustworthy. The path is clear and begins with Christ, the Way, the Truth, and the Life. From the Divine Master, we learn the proper use of authority through service. Seeing the imminence of the Passion and desiring to leave for the Apostles an example to imitate, He humbled Himself and washed their feet, commanding them to do the same: For I have given you an example, that as I have done, so you also should do. (John 13:15). Pope Francis asks us to be a synodal and humble Church, a Church that listens. We need to listen once more to the voice of Christ: For I have given you an example, that as I have done, so you also should do. The exercise of authority is a real service and governance should not be a privilege or a position, but a responsibility to be neither ignored nor totally delegated. If we are together, in real hierarchical communion – hierarchical communion that permeates our hearts and are not merely words – we become the visible sign of peace, unity, and love, a sign of true synodality. In a recent audience, the Holy Father outlined three essential traits of bishops, which I believe can help us rediscover our own sense of identity and mission in the present situation: to be a man of prayer; a man of proclamation; and a man of communion. In that audience, the Holy Father noted that the bishop, like Saint Peter and the Apostles, is “called by Jesus to be with Him. (Cf. Mk 3: 14) There he finds his strength and his confidence. Before the Tabernacle, he learns to entrust himself and so trust in the Lord. (POPE FRANCIS, AUDIENCE WITH PARTICIPANTS IN A SEMINAR ORGANIZED BY THE CONGREGATION FOR THE EVANGELIZATION OF PEOPLES, 8 SEPTEMBER 2018). It is important for us to regain our confidence that by the power of God and our cooperation with Him, we can face and meet any challenges. “For the bishop,” the Holy Father continues, “prayer is not devotion but a necessity; it is not one task among many, but an indispensable ministry of intercession: each day he must lead people and lay their situations before God.” I am encouraged that you will have the opportunity to be together and to pray together on your retreat in early January when you will have more time to contemplate the person of Jesus, to listen to His voice, to discern the path forward, and to intercede for your people. In addition to being a man of prayer, Pope Francis recalls that the bishop should be a man of proclamation. The Apostles were sent to proclaim the Gospel to all the nations. How often the Holy Father exhorts us to be a “Church that goes forth”! This applies to us too! To accomplish this unity the bishop must love “weaving communion by being involved in the first person and by acting in a humble manner.” Part of being engaged and acting humbly involves listening. Last June, I said that spiritual fatherhood and effective evangelization require listening. The International’ Theological Commission recently noted the necessity of listening in discernment to build consensus among laity, consecrated men and women, clergy and bishops. And listening is curative; by listening, we begin the process of accompaniment. Spending time with the people and listening to their needs, we learn how to be better pastors. We are here to teach, but we can also be taught by our brothers and sisters. The recent Synod on Youth is an example of listening and of taking young people and their concerns seriously. The Fifth National Encuentro was exemplary in the art of listening in parishes, dioceses, regionally and nationally. Those who often find themselves at the margins were afforded the opportunity to express themselves to their pastors. For those present, who could not be moved by the event when bishops were seated around the table, exchanging ideas with young people? Priests today are hurting. Many, having lived through 2002, are experiencing a trauma for the second time in their priesthood over the abuse crisis. Some are demoralized, while others are feeling angry or betrayed. Many are simply worn down with the burdens of ministry, the clergy shortage, and the suspicion under which they live. 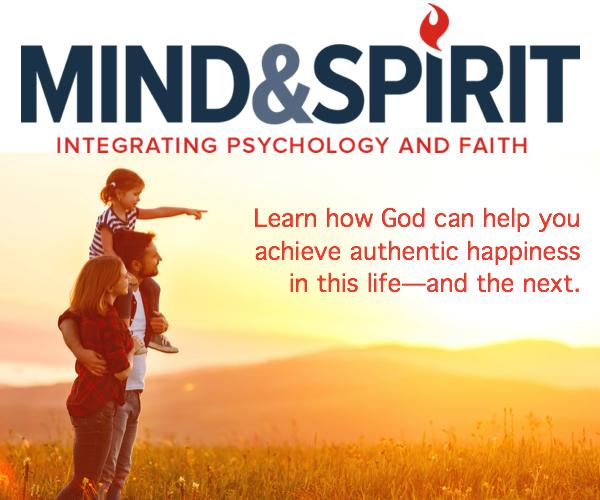 They are looking to you to be a father and brother who will listen – to their sorrows and joys – and who will empathize and encourage them to persevere. Listening to them and sustaining them is essential to responding to their concerns, so that they may be your joyful co-workers in the Vineyard of the Lord. The problems faced by the Church today are compounded by a clericalism. which can affect both clergy and laity, and which “corrodes communion.” In this regard, it is important to recall that it is the People of God for whom we (and our priests) have been ordained. Our Holy Father has spoken of the ills of clericalism from the first days of his pontificate. It is an illness, and it must be treated as such. An effective response to clerical.ism can emerge by offering special attention to clergy and to seminarians by “updating our processes of selection, accompaniment and evaluation” of candidates for the priesthood. (CF. POPE FRANCIS, “ADDRESS TO PARTICIPANTS IN THE COURSE FOR NEW BISHOPS OFFERED BY THE CONGREGATION FOR BISHOPS, 13 SEPTEMBER 2018). I am confident that the new Ratio Fundamentalis and your forthcoming Sixth Edition of the Program for Priestly Formation will confront the challenge, offering an integral formation for seminarians, helping them grow continually in discipleship and configuration to Christ. My brothers, we cannot run from the challenges that presently confront us. We must face them realistically and courageously, listening with open hearts to the voice of Christ and his Vicar on earth. I want to assure you, not only of my prayers and solidarity at this difficult time but also of those of the Holy Father. Just as the Lord gazed upon Peter, knowing his weaknesses but also seeing his potential, I remain confident that the Lord gazes upon us now and will offer us his strength to meet the challenges, which seem daunting. We cannot be daunted or held back by the challenging task; rather, we must be concerned with the people and mission entrusted to our care along the path to holiness.